Recognising the agricultural and health benefits of superfoods, the Indian government is promoting the cultivation of crops such as nutri-cereals. Superfoods promise better health as they can reduce the risk of many ailments. They are a strong source of proteins, fats, vitamins and other nutrients. Seeking higher yields and thus better economic benefits, the vegetables, fruits and grains that we consume today are doused with chemicals and fertilisers. Reports suggest consuming such foods may lead to cancer. In India, there has been a rising concern over the quality of food products, and we are seeing a slow-but-increasing demand for chemical-free and organic food. The organic food market is estimated at Rs 1,500 crore, and is expected to double to Rs 3,000 crore in the next three years. A World Health Organization (WHO) 2018 report shows that by 2020, about 75 percent of all deaths will be caused due to non-communicable chronic diseases. Many of these can be prevented by altering lifestyles. However, there is a need to look at the root cause – focusing on a healthy diet and lifestyle. “Everything boils down to the food we consume. There is a nutrition transition in India, consequent to which there is an increase in the incidence of lifestyle-related diseases. Malnutrition, both in urban and rural areas, continues to remain a problem in our nation. Superfoods (known for their high nutrition value) is one of the solutions to address both conditions,” says Prof Ram Rajasekharan, Director of Council of Scientific & Industrial Research (CSIR), India’s premier national R&D organisation. Recognising the agricultural and health benefits of superfoods, the Government of India is promoting the cultivation of crops like nutri-cereals, which comprises sorghum, pearl millet, finger millet (ragi) and small millets, little millet (kutki), kodo millet, barnyard millet (sawa), foxtail millet (kagni) and proso millet (cheena). “The government has prepared a roadmap to promote millets and achieve increase in area and output. They are targeting production of 46 million tonnes by 2022-23, taking it up from the current 17 million tonnes. A mini-mission called ‘NFSM – Nutri-cereals’ has been launched by the Ministry of Agriculture this year, with an allocation of Rs 300 crore,” says Ashok Dalwai, Additional Secretary, Ministry of Agriculture Cooperation and Farmers Welfare. The consumption of oils and fats, along with quality proteins and complex carbohydrates, plays a key role in promting good health. Micronutrients are just as essential. While Omega fats are critical for good health, few other kinds of omega fats in right ratios can promote advanced health and wellness. Vegetable oils are rich in Omega 6 fats. “We can access foods rich in Omega-3 fatty acids through a plant-based source. Not many people have access to, or can afford fish, which otherwise is rich in Omega-3 fats. For vegetarians, Chia seeds transcends these concerns. It’s easy to eat, and all you need to do is add a spoon of Chia in a glass of water – it forms a gel and anyone can consume it,” Prof Rajashekaran adds. “This is where superfoods like chia gain importance. These are single crops that encompass various nutrients that which are very important for our health,” says Deepa Prakash, a former scientist with Central Food Technological Research Institute (CFTRI) and chief scientist at sCooLMeal, a startup that provides healthy meal service to school children. Millets also offer an exhaustive range of health benefits. They are nutrient-rich, have a high fibre content, and a low glycaemic index — making them ideal to fight obesity and diabetes. They are also gluten-free. 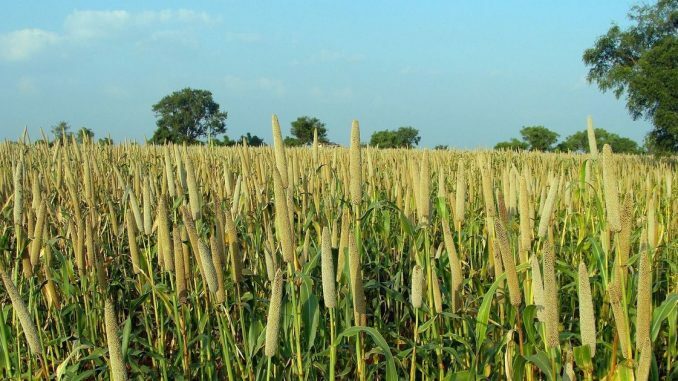 Further, Finger millets are full of calcium, Jowar has potassium and phosphorus, Foxtail millet is fibrous, while Kodo millet is rich in iron. Given the health benefits and easy access to these crops, Prof Rajasekharan believes that superfoods are the way out of expensive healthcare optionsprevalent today. “The solution for the future is through food — start consuming healthy food. The concept here is to make sure the country spends more time on prevention rather than looking for a cure. Either we as a nation adapt supercrops in daily food, or have a healthcare policy, which is much more expensive,” he adds. Superfoods mitigate the uncertainties that currently dominate the agriculture sector. Crops like millets and chia are grown in resource-poor agro-climatic regions, and hilly and tribal areas and in rain-fed conditions. Being hardy crops, they are well-suited to adverse situations of climate change. They are drought tolerant, photo-insensitive and resilient to climate change, and therefore can be grown in arid and semi-arid tracts under low rainfall (200-600 mm) conditions, where fine cereals like wheat and rice cannot be grown profitably. The water retentive nature of the chia makes it a favourable option for the agrarian community. Raitha Mitra Farmers Producer company has built a sustainable business model for farmers by not only providing the agrarian community with chia seeds but also connecting them with marketing organisations who buy chia seeds in bulk. “In a drought-prone state like Karnataka, the cost of harvesting is very high. The weather pattern is unreliable. Hence, we switched to chia seeds to get out of this cycle. The biggest help for farmers was that the seeds were given free of cost by the government, and the farmer producer company,” says Devaraj, a farmer associated with Karnataka-based Raitha Mitra Farmer Producer company. Cultivation of superfoods is not new to India. These are our ancient crops, cultivation of which dates back to over 500 years. Prior to the Green Revolution in the mid-1960s, these were important crops with higher area coverage as compared to wheat and rice. “Over the last five decades, thanks to new technology represented by high yielding varieties and price support in the form of MSP and assured procurement, wheat and paddy have been enjoying high inter-crop advantage vis-a-vis millets,” Ashok Dalwai explains. In recent times, paddy has suffered a drastic reduction in acreage across the irrigated areas of the country, and consequently, the production has dropped. The investment in irrigation, infrastructure, and the area under irrigation has continuously increased, thereby supporting cultivation of wheat and paddy. Table: Economics of cultivation – Rice, Ragi and Chia. “Currently, the MSP on millets has been hiked substantively, assuring the farmers a minimum of 50 percent as profit margin on the cost of production. A robust procurement system will also be put in place, which will incentivise millet production. The Ministry has notified 2018 as the year of nutri-cereals, to give a big push to millets,” Ashok Dalwai says. Prof Rajashekaran is also exploring mass-cultivation of Portulaca oleracea (purslane), a leaf source of Omega-3 fatty acid for human consumption. While this crop is found only in Himachal Pradesh, he is working to cultivate the same in other regions like Mysuru as well. Realising the value of going completely organic along with the benefits of superfoods, Sikkim recently became the first state in India to ban the sale of non-organic vegetables. “The whole idea is to make our people healthy and, in the process, motivate the farmers to go back to their fields, and return to the ancient crops. We have technical association with CFTI, and we took a few chia seeds samples and tried to grow in Sikkim. We have also set up a processing and a marketing unit,” says Pavan Awasti, Managing Director of Simfed Sikkim and Sikkim Government Food Preservation Factory. Organic vegetables are procured from the villages by SIMFED for direct market linkages. Payments to the farmers are made on the spot. “If superfood cultivation gets a mass following, the price of these crops will also come down. We have seen this with chia seeds already. Indian farmers have brought down the international farm price by three times through Raitha Mitra, its farmer associates, and with the help of CSIR,” Deepa adds. With multiple startups like SaiYum Foods in Delhi, sCoolMeal and Sikkim Supreme, a brand of the Sikkim State government, advocating superfood cultivation and providing assistance to farmers for production, the cost of superfood is declining. In fact, Bengaluru-based food retail chain MTR is also planning to produce and sell chai-based health drinks. Currently, Government of India is also urging other states, particularly in the North East, to start organic farming. The government has launched two schemes — ‘Paramparagat Krishi Vikas Yojana’ (PKVY) and ‘Mission Organic Value Chain Development’ (MoVCD) for north-eastern states. The scheme includes promoting cluster-based cultivation, certification of products and value chain development, so that organic growers fetch premium price on their produce. “The government’s vision is to bring about 10 percent of the country’s net cultivated area under organic farming over the next few years,” Ashok Dalwai concludes.